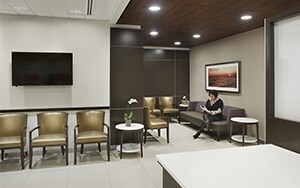 Montefiore Aesthetics calls the new, state-of-the-art Montefiore Hutchinson Campus home. 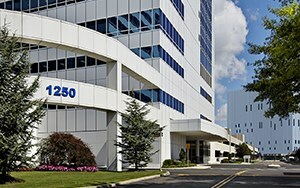 You’ll notice the difference from the moment you enter the doors of our gleaming, 12-floor, 280,000-square-foot facility located right off the Hutchinson River Parkway. What makes us different is more than the fact that we’re conveniently located near both Westchester and Connecticut. We take pride in knowing our patients gain immediate access to high-quality ambulatory surgery and subspecialty care. Our patients gain access to state-of-the-art cosmetic surgery techniques and technology, including Vectra 3D imaging, surgical innovation, minimally invasive treatments and talked-about medical therapies. You receive the latest cosmetic treatments without compromising safety. Our Hutchinson Campus is home to multiple specialties and services under one roof and often on the same floor, which allows for greater physician collaboration, easier referrals, joint consultations and shorter wait times. Montefiore Hutchinson campus hosts 12 fully equipped operating rooms, four procedure rooms, an advanced imaging center, onsite laboratory and pharmacy, and primary and specialty care practices within its facility. You will have the highest level of medical care in one convenient location. Leave your worries behind as you enter the comfort of our waiting areas and recovery rooms, especially designed with our patients in mind. A relaxed atmosphere will keep you refreshed, engaged and connected while you wait. Montefiore Aesthetics is less than 30 minutes from Midtown by car and a quick ride from most areas in Westchester County and Connecticut. Free valet parking on surgery days are available. The Montefiore brand is renowned for clinical excellence. When you choose our team, you receive high-quality care, performed in a state-of-the-art facility by the most notable names in the business. This fact, among others, separates Montefiore Aesthetics from facilities that cater to medical tourists.